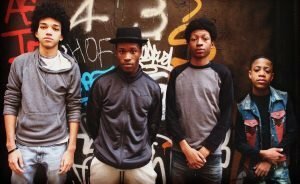 A few weeks ago we posted about a new Netflix series ‘The Get Down‘, which includes collaborative efforts from Hip Hop legends such as “Kurtis Blow, DJ Kool Herc, the Furious Five’s Rahiem, Afrika Bambaataa, and hip-hop historian Nelson George”. The setting of the series is the South Bronx in the 70’s “…tells the tale of aspiring DJ Shaolin Fantastic (Shameik Moore) and disco singer Mylene Cruz (Herizen Guardiola) as they vie for the attention of orphaned poet-pianist Ezekiel “Zeke” Figuero (Justice Smith).” Catch Vulture’s recap here. Nora K Jemisin and Nnedi Okorafor win the Hugo Award!